When squirrel expert John Koprowski saw a Malabar giant squirrel during his visit to India in 2006, he had a hard time to believe what he saw before his eyes. 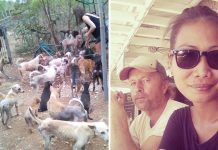 At first, Koprowski thought that he came across a primate. However, he later realised that the animal he saw was not a primate but a gigantic squirrel. 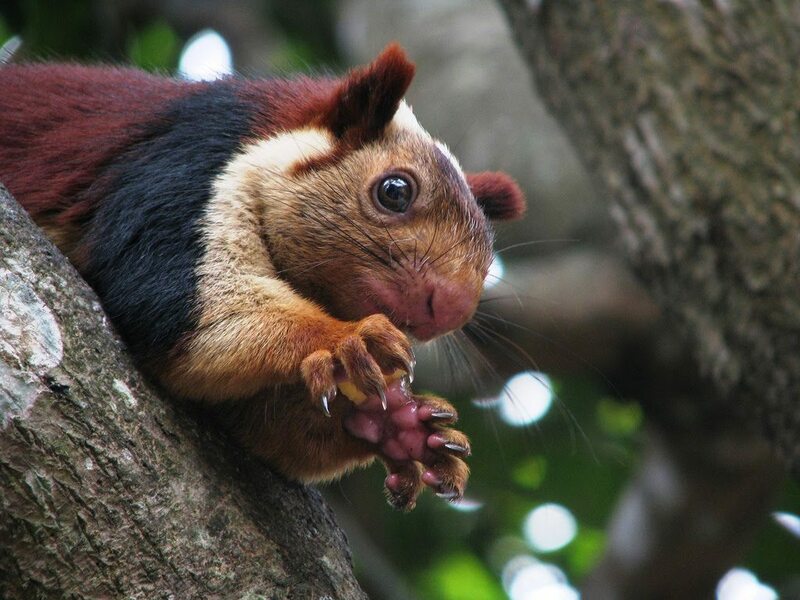 Malabar giant squirrels are large, twice as large as eastern gray squirrels with bodies that can grow as long as 36 inches from head to tail. 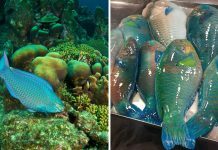 “These are giants!” the professor and associate director at the School of Natural Resources and the Environment at the University of Arizona told The Dodo. Apparently, their surprisingly giant size is not the only thing that shocked Koprowski. 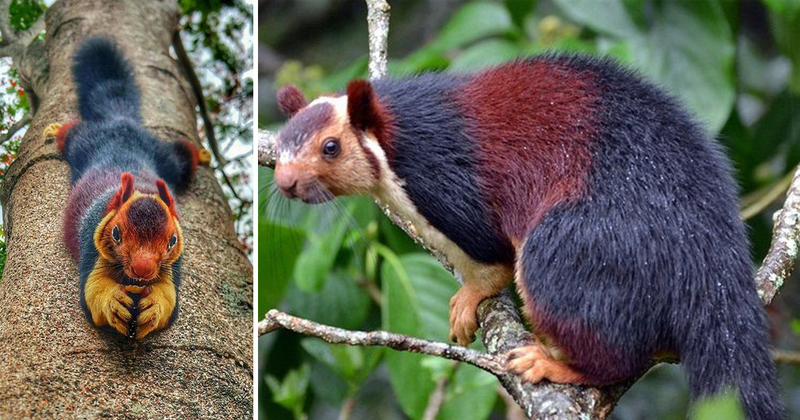 Malabar giant squirrels also have multicolored coat ranging from brown, black, orange, and even maroon and purple. 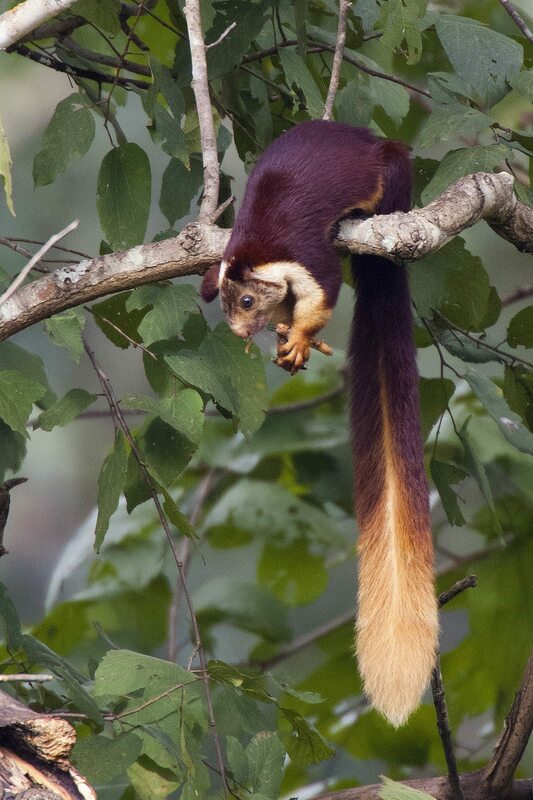 While it is common to find animals with black and brown fur, maroon and purple shades in animals are unusual, hence, making Malabar giant squirrels more unique. Plus, the multicolored fur is not just for aesthetic purposes. The different and unusual shades of their fur provide protection and better disguise from potential predators in the wild. 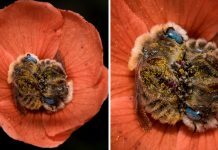 “In the shaded understory of a dense forest, the patchy colors and dark hues are a great adaptation to avoiding detection,” Koprowski said. They also have large ears and strong forelimbs to help them leaping from a tree to another tree as Malabar giant squirrels mostly spend most of their time up in the tree canopy. 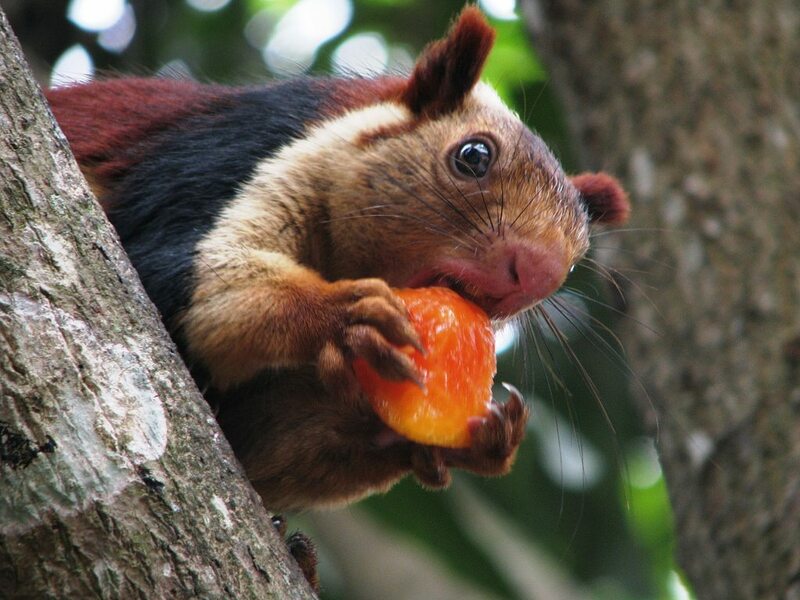 Unlike other squirrels, Malabar giant squirrels just will not appear around the area in your backyard. 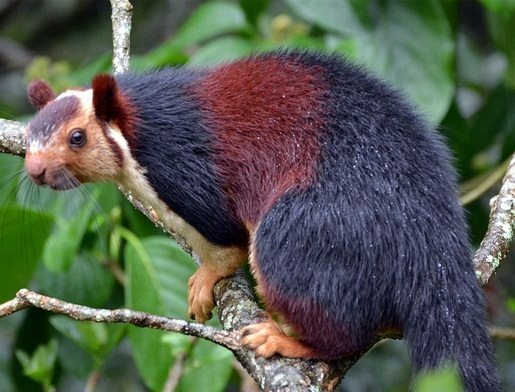 This unique breed of squirrels can only be found in South Asia, particularly in India. Even then, it might still be difficult to spot them in the Indian forest. Squirrel expert and research fellow at Hokkaido University, Pizza Ka Yee Chow, explained to The Dodo. “They are pretty shy. 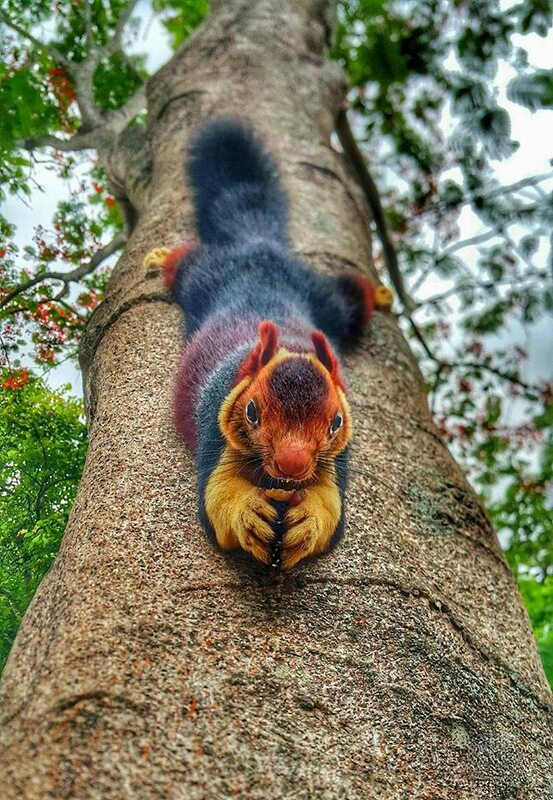 One of my friends who lives in India shared with me that the best way to see these giant squirrels is to climb up on a tree, stay very quiet and wait for them to emerge from their [nest],” he said. Currently, Malabar giant squirrels are not at risk for going extinct any time soon. However, as their population has been declining over the past years, they can get in danger of extinction if they are not protected. 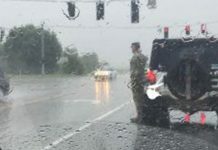 “The real threat is the slow loss and degradation of forested habitats as humans move in and as climate change impacts higher elevation areas,” Koprowski said.